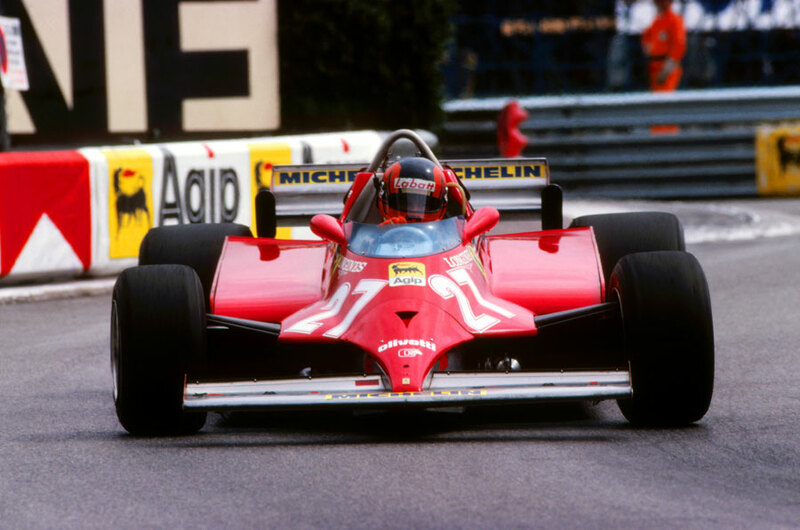 Gilles Villeneuve showed Ferrari had put its appalling 1980 season behind it with victory in Monte Carlo, but yet again the weekend was as memorable for off-track events as anything on it. This time it was not political posturing which threatened to lead to the cancellation of the race. An hour or so before the scheduled start, there was a fire in the kitchen at the Loews Hotel and the water seeped through into the tunnel and on to the track. Even when the hotel residents had returned to their lunches, water still trickled through the ceiling of the tunnel and it was decided to cover that area of the track with a yellow flag to remind drivers of the dangerous conditions. Nelson Piquet's Brabham led Villeneuve from the lights, the turbocharged Ferrari not being expected to be a factor around the tight street circuit where nimbleness mattered. Nigel Mansell (Lotus) ran third ahead of the two Williams FW07s of Carlos Reutemann and Alan Jones but Reutemann damaged his Williams when he thumped the back of Mansell. The Argentine needed to pit with a damaged front wing and Mansell likewise with a rear puncture. Piquet was breaking away up front as Jones pestered Villeneuve for second place, the Ferrari driver struggling for grip as his tyres were fading. Jones caught Piquet and watched his rival get the swimming pool complex wrong on lap 43. The Brabham slithered sideways but Piquet kept the lead with Jones right up behind darting left and right to rattle the Brazilian. When Piquet tried to lap Eddie Cheever's Theodore, contact was made and Piquet crashed into the barriers. That left Jones ahead but he felt his Williams hesitate and thought he may be low on fuel. He pitted for two-and-a-half gallons and resumed ahead of Villeneuve but the car coughed again as he powered uphill and he was easy pickings for Villeneuve who powered past in the unwieldy Ferrari. Jones was able to salvage second place, limping home ahead of the Ligier of Jacques Laffite.